Though nationally people may not regard Kentucky as place of importance during the civil rights era, women such as Audrey Grievous and Mae Street Kidd prove to be pillars for desegregation in the south. Though both women came from different backgrounds, their determination and dedication to civil rights issues make them two of the strongest women in Kentucky civil rights history. 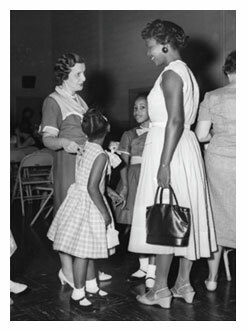 Grievous, born and raised in Lexington, had grown up in a desegregated world, where she received her early education in all black schools. After receiving a degree in elementary education, she returned to the school system. However this time, it was to teach. After entering a desegregated school system, Grievous realized black students were still at a disadvantage to white students, and in some ways the desegregated schools were more detrimental to the education of black students than the segregated schools were. Grievous recalled an incident with her nephew in an interview in 1999 with Betsy Brinson for the Kentucky Historical’s Society’s Civil Rights Movement in Kentucky project. In addition to teaching, Grievous was heavily involved with CORE and the NAACP. Like Grievous, Mae Street Kidd was determined to achieve her goals and prove wrong the people who stood in her way. Kidd built a strong reputation for herself at Mammoth insurance after starting work at the young age of 17. The man she worked for was hesitant to hire her because of her age, however she proved to be a valuable asset working her way up in the company. At one time, Kidd’s job was given to someone else, but because of her determination she earned it back, selling over a quarter of a million dollars worth of insurance. 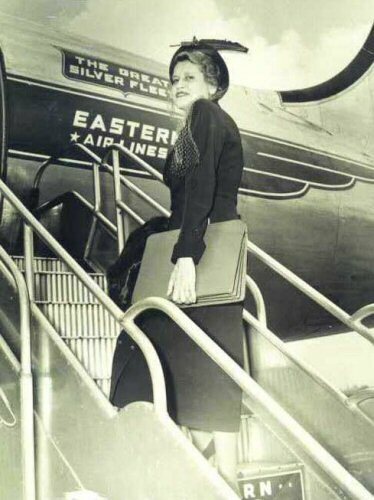 This spirit and determination eventually earned Kidd a seat in Kentucky’s General Assembly, where she continued to fight for civil rights. Grevious, Audrey. “Civil Rights Movement in Kentucky.” Interview. Civil Rights Movement in Kentucky. Kentucky Historical Society. 11 April 1999. <http://205.204.134.47/civil_rights_mvt/util.aspx?p=1&pid=14984> 18 Feb. 2013. 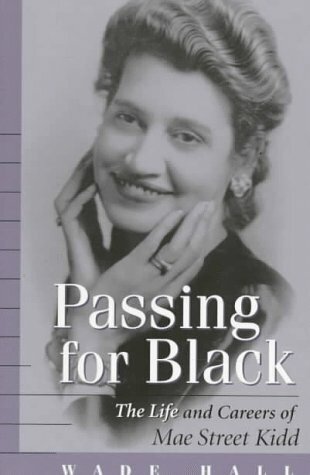 Hall, Wade H. Passing for Black: The Life and Careers of Mae Street Kidd. Lexington: University of Kentucky, 1997. Print. Nearly all the laws manifested in racial segregation were enacted in the late 1800s. The Jim Crow laws replaced the Black Codes once society transitioned from one dominated by slavery and farming to a modern one with burgeoning cities and suburbs. Along with it, the infamous 1896 Plessy v. Ferguson case was put in place, upholding the separate but equal doctrine. Although slavery seemed to be dying down, the fight for equality was far from over. By the turn of the 20th century, African-Americans were working in homes or taking on other forms of manual labor away from the countryside. Many women worked as maids or “help” as portrayed in The Maid Narratives. At this point, these women were no longer required to live with their employers and often had families of their own or held a second job. Interestingly, young white children learned many life lessons and grew close to their African-American caretakers. Segregation and racial inequality were usually learned through a parent’s scolding or observations in daily life. 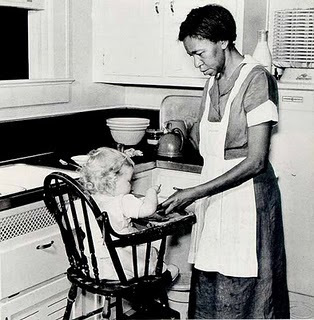 In addition, “the help” was sometimes seen as part of the family and the white women of the home even looked to them for advice and reassurance. Despite the slight improvement in the treatment of African-Americans in society, many were still left unsatisfied. In the Great Migration of the early 1900s, millions of African-Americans left the South for a better life in cities of the North, Midwest, and Western parts of the United States. Wages were often higher in these areas and there were more opportunities for upward mobility, especially in industry work. Racial prejudices were also less severe in places outside of the South, allowing for the growth of “Black metropolises” that included newspapers, jazz clubs, churches, and businesses serving as havens for ambitious African-Americans. 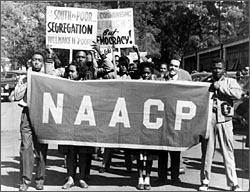 Around this time, the National Association for the Advancement of Colored People was established with a mission “to ensure the political, educational, social, and economic equality of rights of all persons and to eliminate racial hatred and racial discrimination.” Focusing on issues such as the disenfranchisement of African-Americans, lynching, eliminating Jim Crow, and other civil rights matters, the NAACP was founded by a group of white and black men and women, including W.E.B. Du Bois, Ida B. Wells, and Archibald Grimké. I think the most amazing part about this organization is how long it has remained in society. Since 1909, the NAACP has continued to voice concerns for all minorities, not just African-Americans. In fact, there is a chapter on early every college campus in America. Membership is open to people of any race and to anyone willing to make known the struggles faced by minorities still today. “Great Migration (African American).” Wikipedia. Wikimedia Foundation, 02 Apr. 2013. Web. 04 Feb. 2013. “Jim Crow Laws.” Wikipedia. Wikimedia Foundation, 19 Jan. 2013. Web. 04 Feb. 2013. “National Association for the Advancement of Colored People.” Wikipedia. Wikimedia Foundation, 02 Jan. 2013. Web. 04 Feb. 2013. “Plessy v. Ferguson.” Wikipedia. Wikimedia Foundation, 02 Apr. 2013. Web. 04 Feb. 2013. William English Walling was extremely active in the creation and beginning of several groups whose target was to bring women’s rights to the forefront of the nation’s stage. He was a firm believer in equality for all races and genders and showed his willingness to participate in activism designed to spread these ideas to everyone in the United States. Political and social equality for African Americans and women was his main concern. He was born in 1877 in Louisville and died in 1936, so his actions and plans were very progressive for the time period. Also his parents had owned slaves at one time, so for a white man from Kentucky, whose parents formerly owned slaves, really speaks to his character. 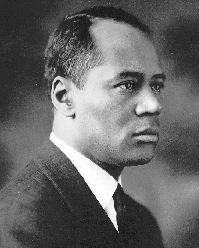 William English Walling was one of the co-founders of the National Association for the Advancement of Colored People (N.A.A.C.P.) and was very active in the organization for many years. Also In 1903 he founded the National Women’s Trade Union League, which was designed to educate women and keep them informed on trade unions and the positives that they offer for women trying to be independent and destroy the gender barrier that existed in the United States at the turn of the twentieth century. Women had been working in horrible conditions in hospitals and other jobs and the idea of the club was to help teach women how to fight the exploitation that companies were trying to do to women across the country and in Kentucky. William English Walling, known as English, was a revolutionary in his era. He helped positively influence the lives of thousands of women inside Kentucky and around the United States. At the end of his life he began traveling a lot and while in Amsterdam, Holland, The Netherlands, he died in 1968.